I had a pool table in my room many years ago, I think I was 13 or 14. Barely had enough room to play, so we used cut down cues! My brother left it behind when he moved out. The poor thing got dismantled when my Mom got tired of it. Great progress on the builds here. I might have to get one of those PZ IV D's. 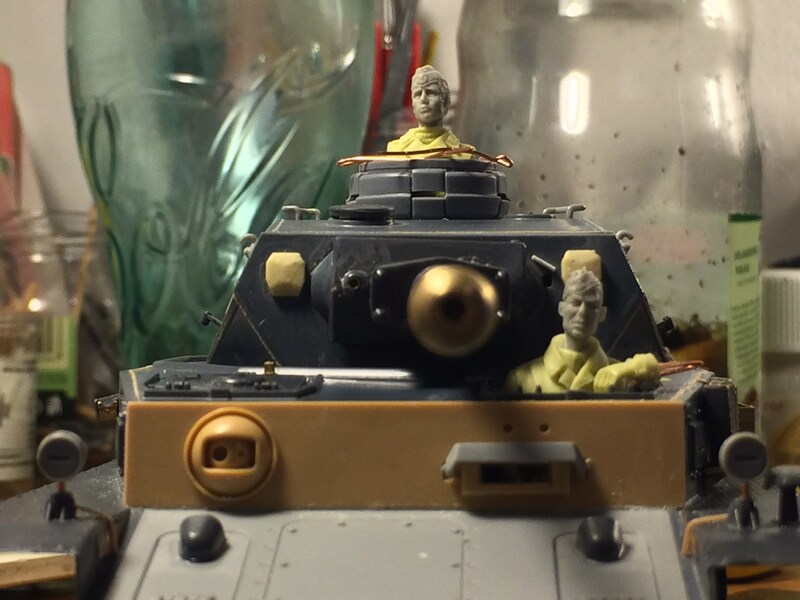 @ Bill, your Italeri panzer iv looks very nice. The paint job is spot on. Will you do it as F1 or F2? 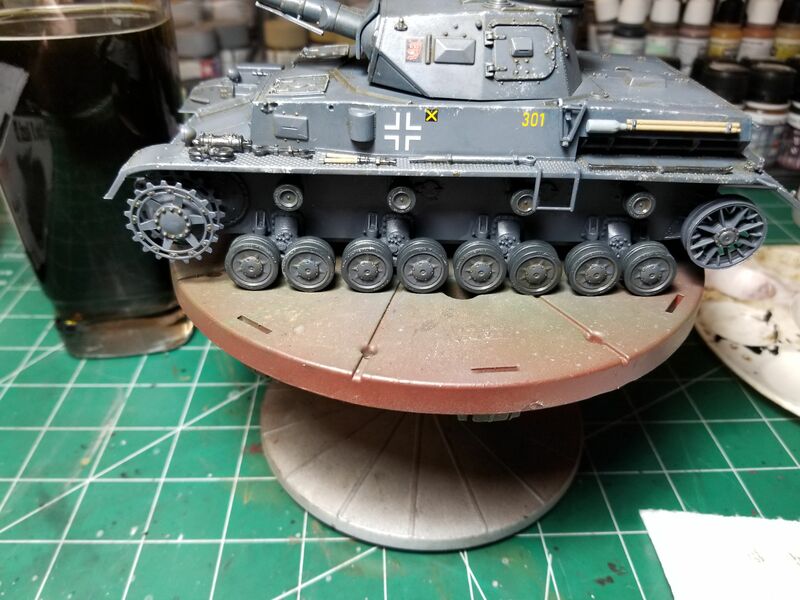 I'm starting another Panzer IV for this campaign. Still needs much detail painting, weathering and the like. Some tools still need to be attached as well. Can see the light at the end of the tunnel on this one. 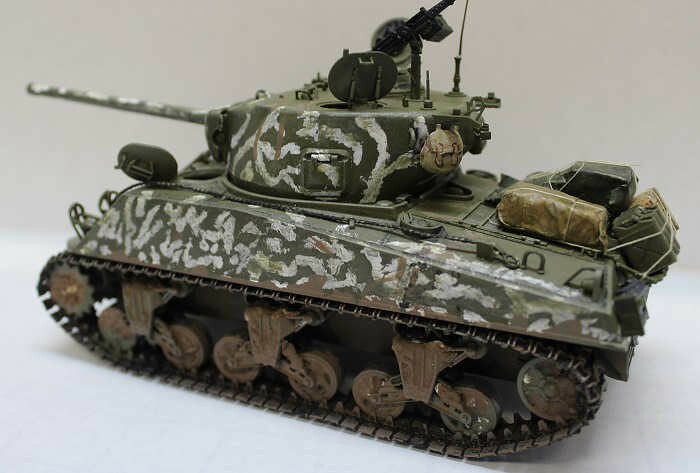 It seems like I've been saying this alot this year...but I'm back with an overdue update on my Academy M4a3 (76)W.
When we last left off, I had added the winter camo. The white was too bright so I worked to tone it down and blend it with the Olive Drab. So now the push to finish. 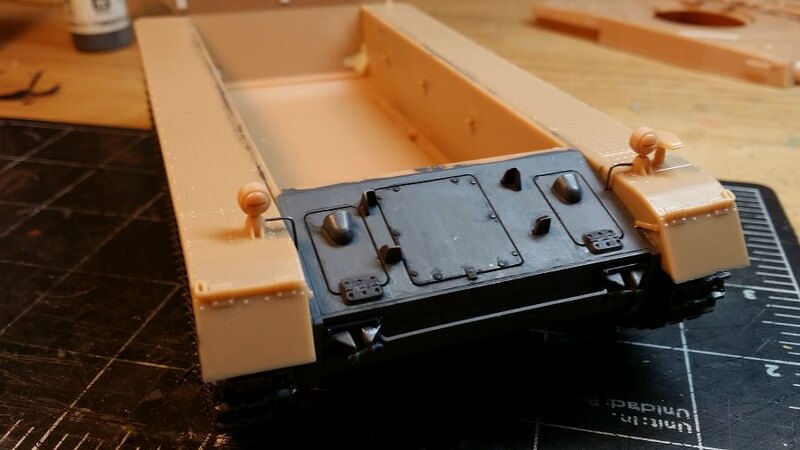 I added stowage to the rear deck. I took styrofoam cubes, cut them to desired shape, and covered them with tissue and PVA glue tarps. Added tow cable, .50cal, and the usual Jerry cans and rations box to the rear stowage shelf. 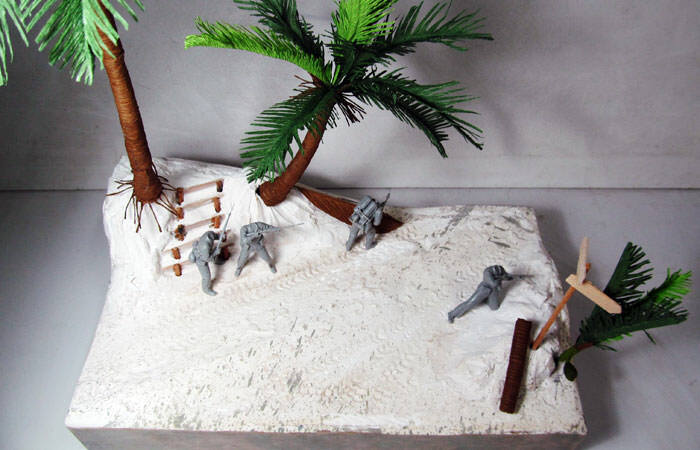 The kit comes with a decent sprue of accessories. But the spare tracks lengths are the steel cleat type and offers the rear link racks with the solid smooth rubber blocks. The tracks are rubber chevron links with the duckbill extensions. The inspiration picture shows the rear link racks so I used the kit's and added the chevron using strip styrene. Antenna is stretched sprue. Spare roadwheels came with the kit. It got several washes...heavy on the weld lines to draw out the detail. And like the vehicle that inspired it, no decals were used for markings. The plan was to add a crew so the hatches were posed open. Unfortunately, I was a man down so that will have to wait. The kit isn't bad but it isn't amazing either. There's some really nice touches to this kit. And, it was a relatively fun build. 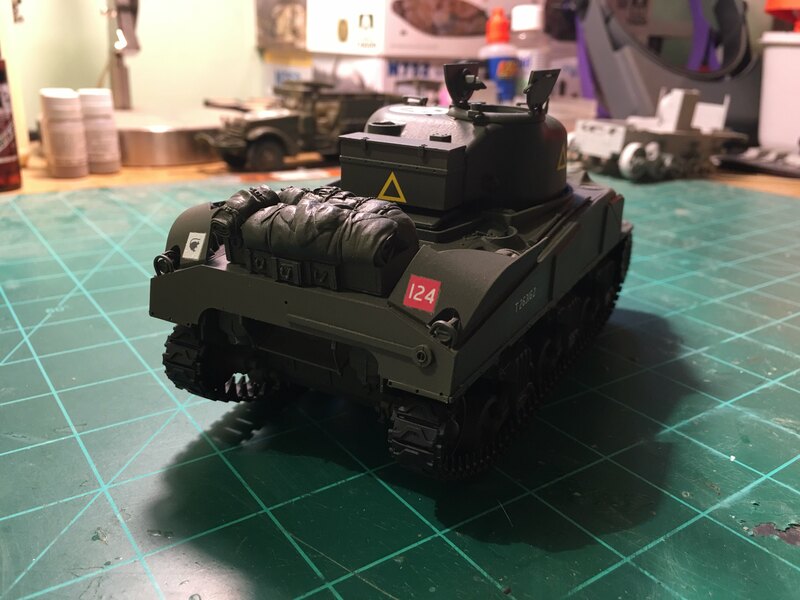 Academy does tend to come up short on some of their kits...like the wrong spare tracks or offering the markings/scheme for a vehicle with the early round loader's hatch for a kit with the later oval hatch. And there's no cleaning rod. All of these are relatively easy to fix. Thanks for the campaign and nice work guys. Ive enjoyed watching your builds and will enjoy seeing them finished up. Nice finish, she looks like she has traveled a few miles. Like how you did the storage, the tied downs don't look over size as I seen in other builds. 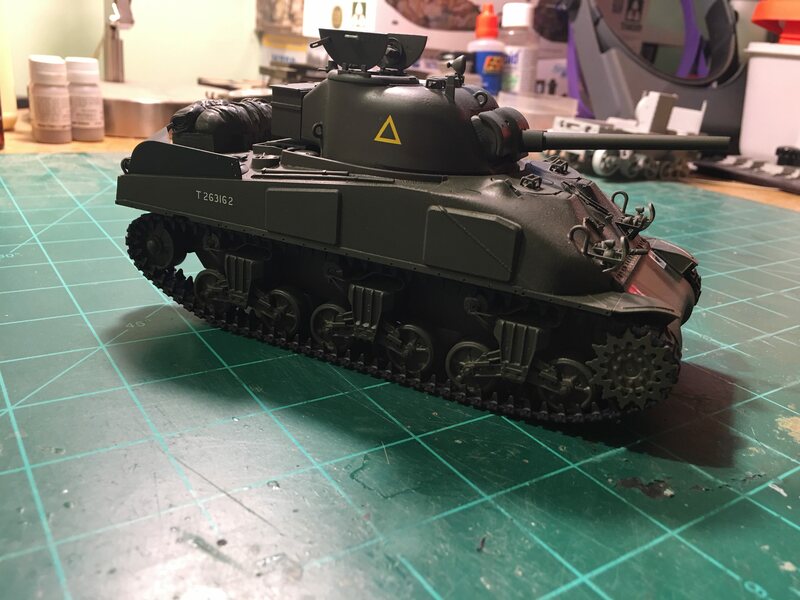 Alex, nice work on the Sherman. The crew applied white wash really looks the part. It looks nice on the M4. Time to making the base. Slow and slow. Seeing the guide sheet, my M4A1 belongs the U.S. 603rd Light Tank Company, Manus Island, Papua New Guinea. 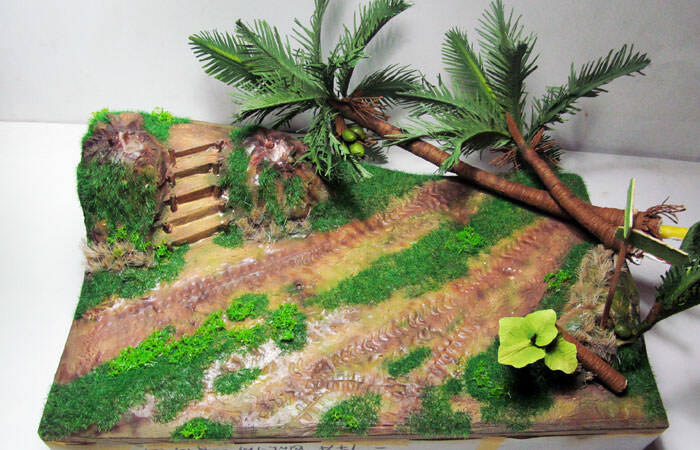 So I make the coconut trees. They're mainly made from the crepe paper. 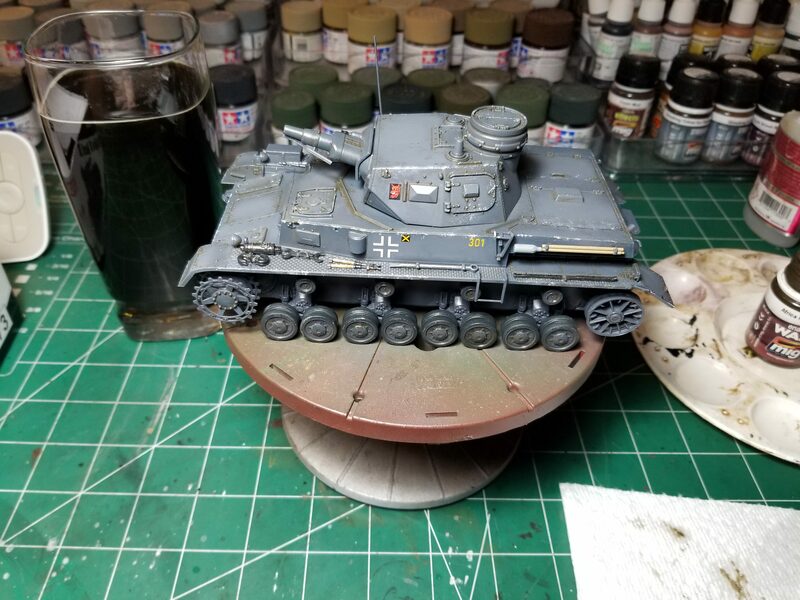 Some work in progress pics of the Panzer IV asuf D. Plus a bonus beer pic. I still haven't decided how to do the exhaust and fuel tank yet. 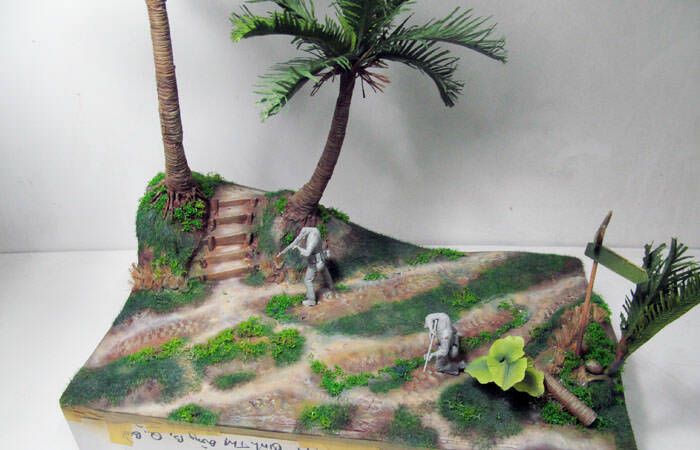 Some more great work going on.... and a nice Dio in the making! Matt, just an observation, the fire extinguishers on early Panzers were Dunkelgrau the same as the vehicle. Yours seems to be gun metal? Removed by original poster on 05/24/18 - 14:17:19 (GMT). Removed by original poster on 05/24/18 - 14:18:17 (GMT). Removed by original poster on 05/24/18 - 14:19:03 (GMT). 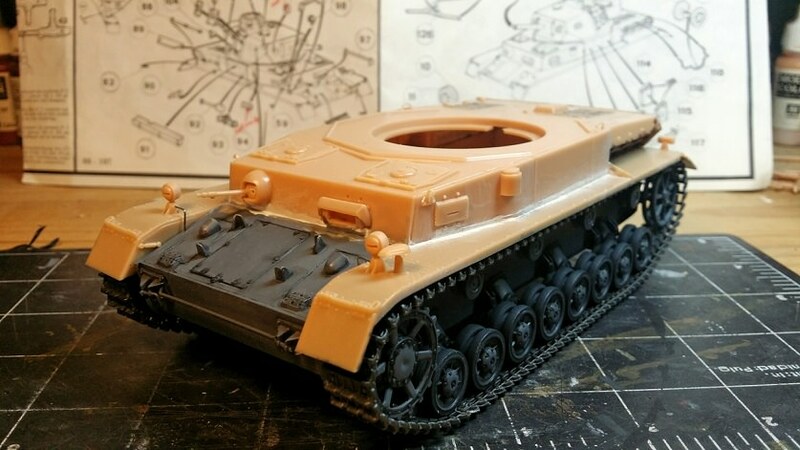 This is the Dragon Pz.IV Ausf.A (Up-Armored) (kit # 6816); not a great kit according to reviews but will fit the bill. First try at these types of tracks. Will build OOB. I was not aware. Thanks for the pic, I'll update the fire extinguisher when I get a chance. I wasn't exactly sure to start with, I just kind of guessed with Vallejo gunmetal. OK, time to get going. Probably past time. 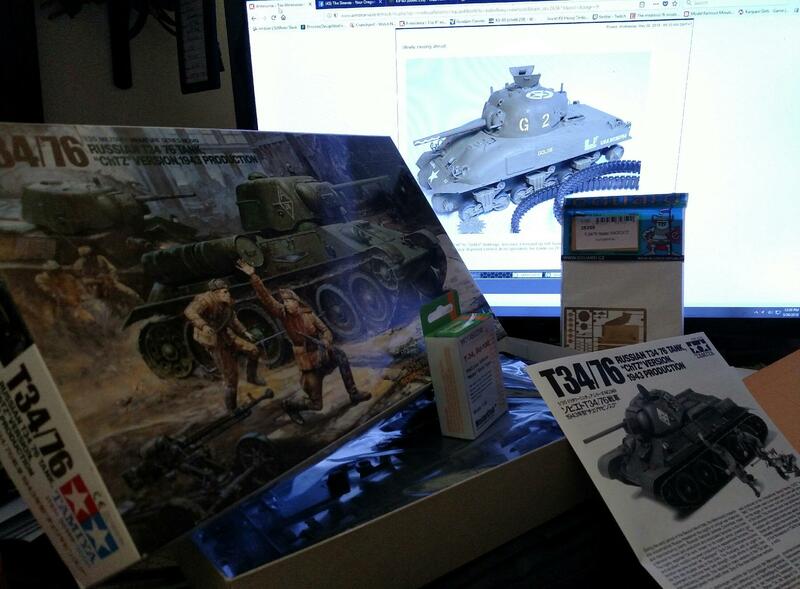 Well, gotta start somewhere, so I'm starting with the M4/Sherman Mk I. We'll see! 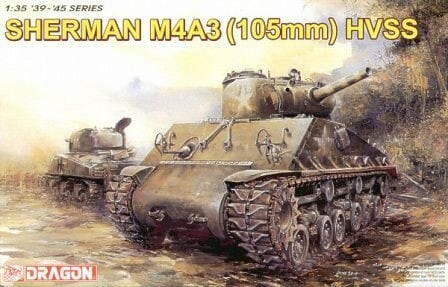 I would like to pull my current entry Dragon #6447 "El Alamein" Sherman and replace it with Dragon #6354 Sherman M4A3 105mm HVSS kit. 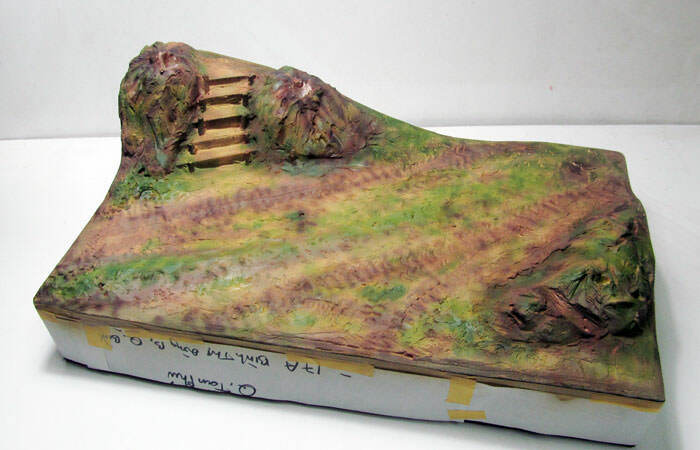 I had a bench accident effecting the El Alamein kit which is why I am asking to make the change. Here are a few images of the new entry. 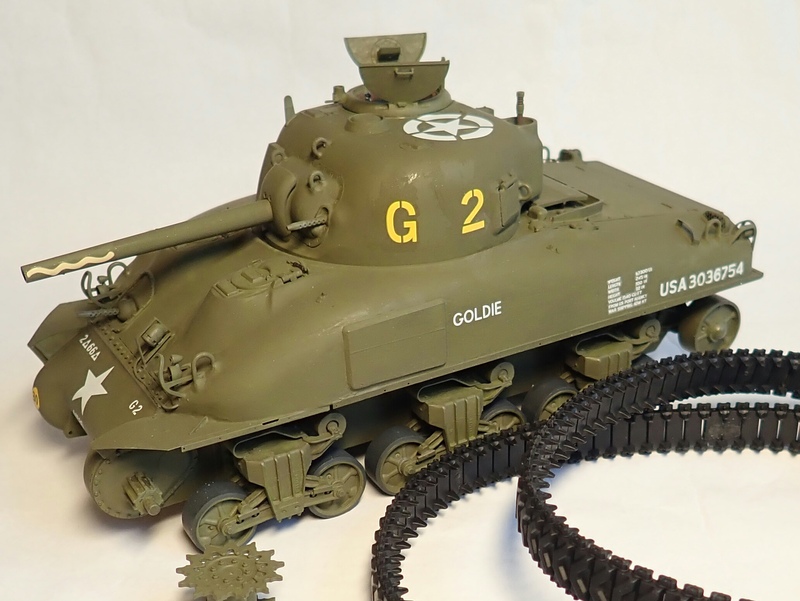 I had to switch from "Hellcat" to "Goldie" markings, because I messed up left hand side full size fenders. Goldie doesn't have those, but unfortunately I had already disposed correct drive sprockets for Goldie so I'll have to use what I have. Anyway easy build so far. Nice decal work. Your build is coming along nicely. Looks like I'm late to the party! Hope it turns out half as well as some of the others in this campaign. Mr. K, Awesomeness! 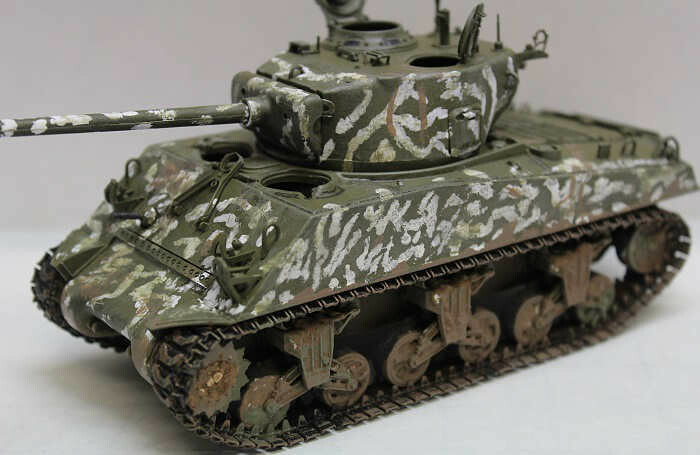 It's great seeing a camouflaged Sherman tank. 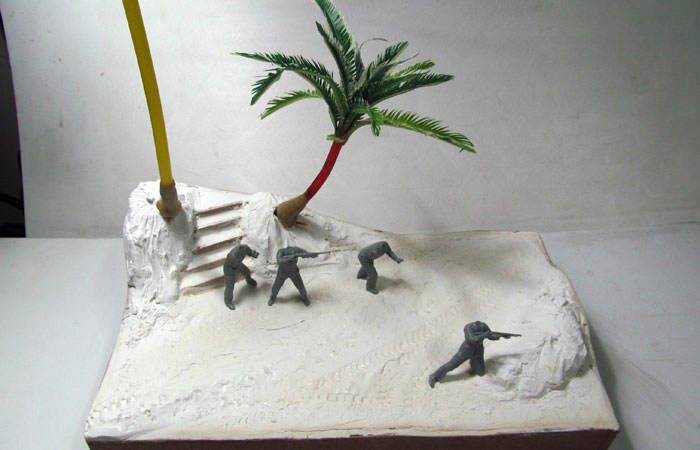 Fantastic work too on the jungle base work. 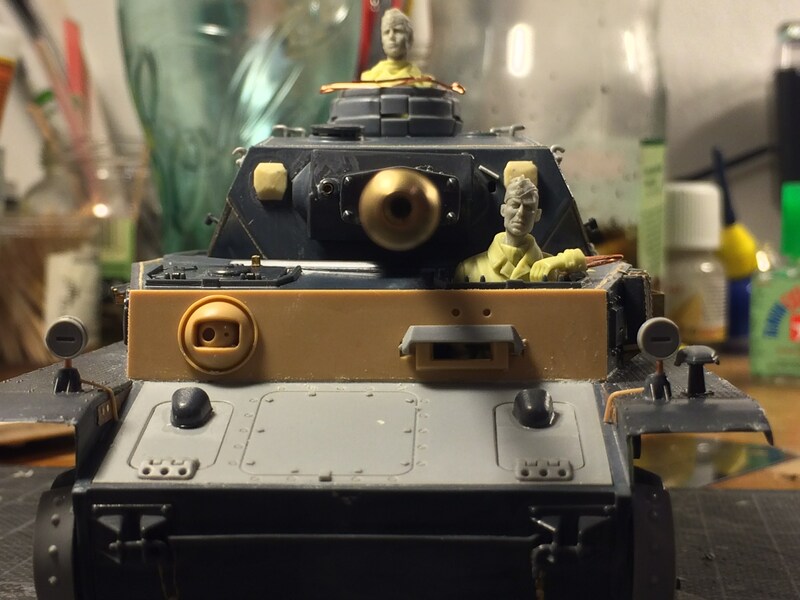 Nigel, Great job on your Russian Sherman. Love the big numbers on the turret. 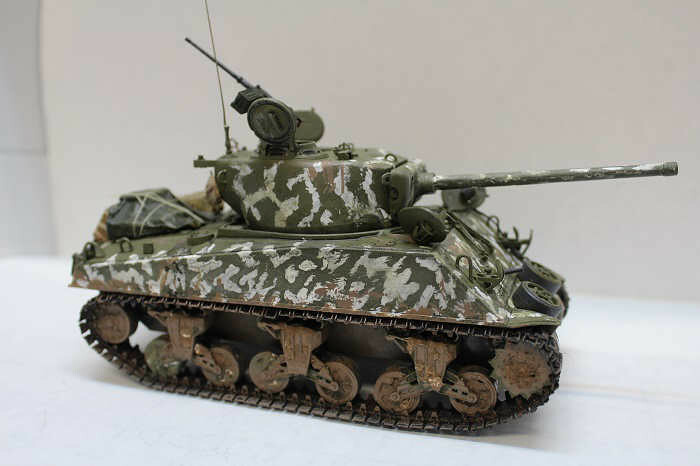 Randall, Very nice work detailing the exterior of the T-34. "Otleachnaya Robota!" 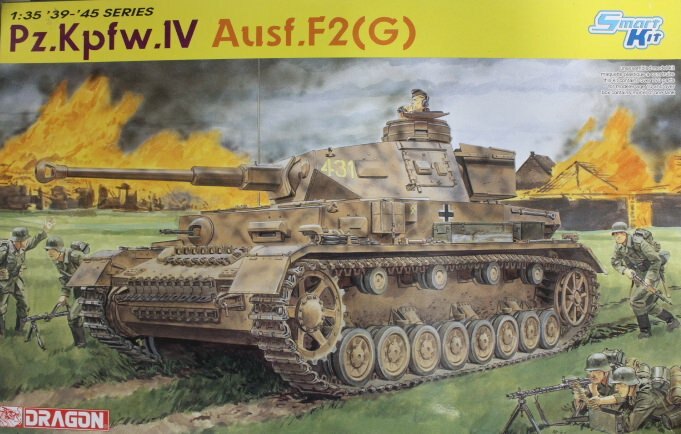 Matthew, Your Panzer IV/F2 looks fantastic with all that P.E. detailing. 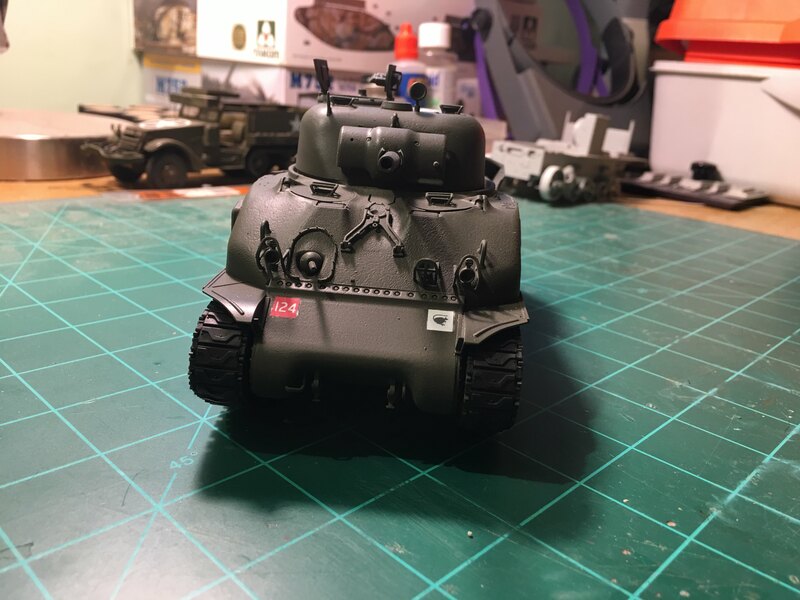 Shawn, The "Bomb" Sherman turned out great. Lucky crew to make it from D-day till the end intact. 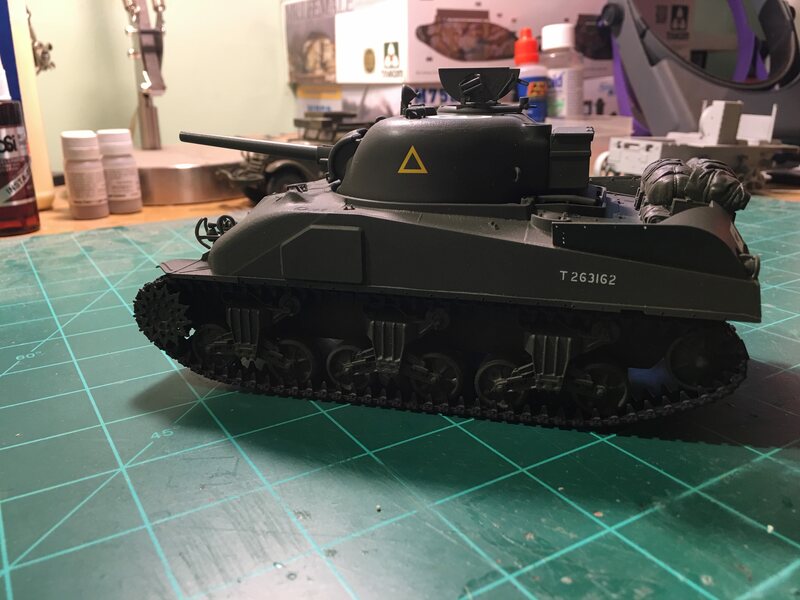 Chris, Your British Sherman tank is progressing nicely. The stowage and decals look good. Alex, Wonderful job on your snow camouflaged Sherman. Weathering looks very realistic. 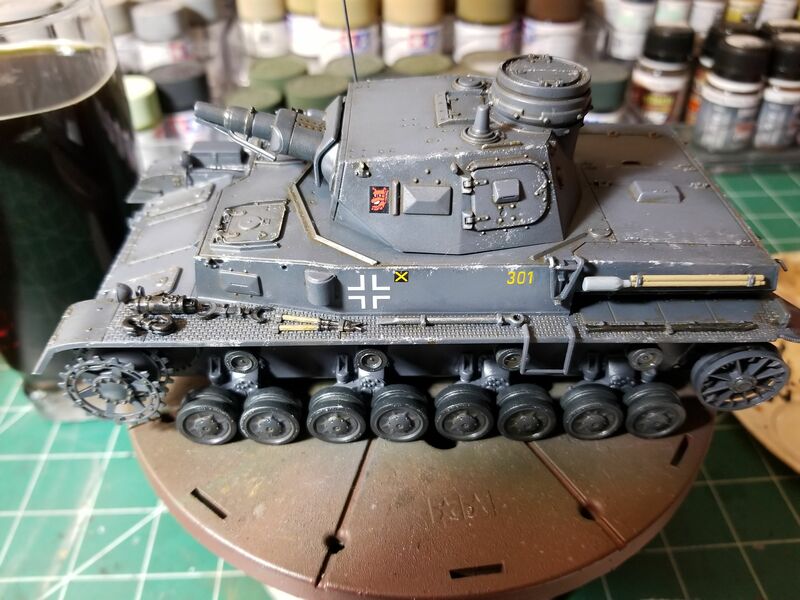 Matt, Fine work on your Panzer IV/D. I like the paintwork. Pasi, Nice looking early war Sherman. I like that strange marking on the barrel. 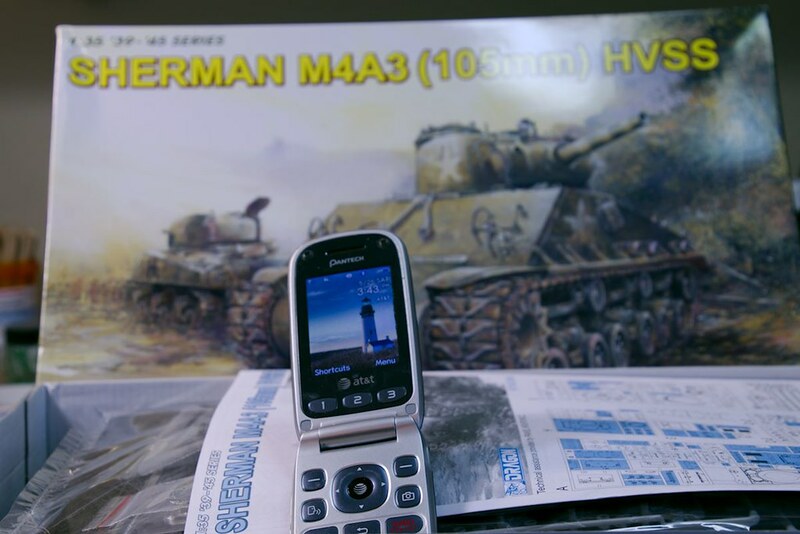 Chuck, Good choice with the Panzer IV F(G). Good luck. 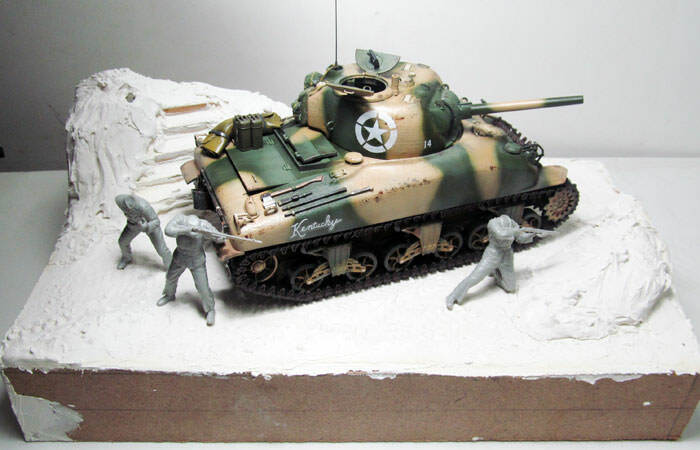 Michael, Enjoy the project on either the Firefly or Mk.1 Sherman. Mark, Sorry you had to switch builds. 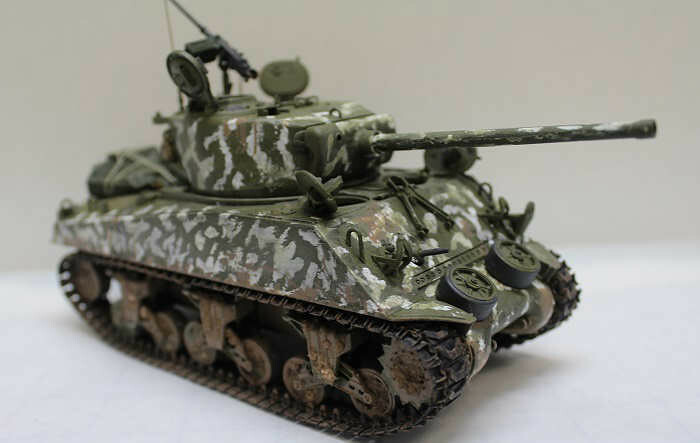 The 105mm armed Sherman looks cool. 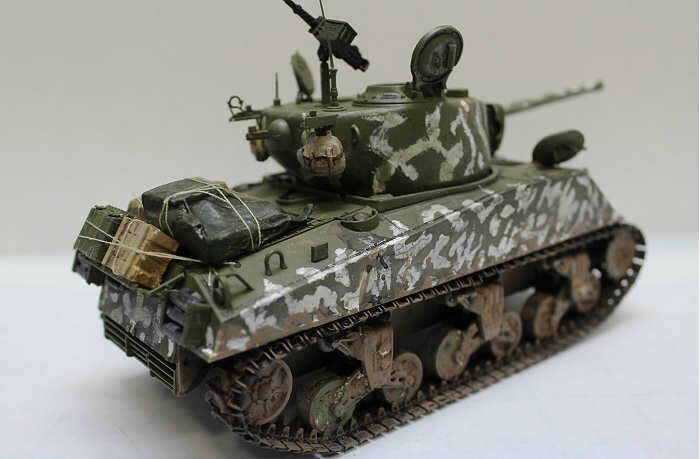 James, Can't go wrong with a classic Tamiya kit like the T-34. Have fun on it. 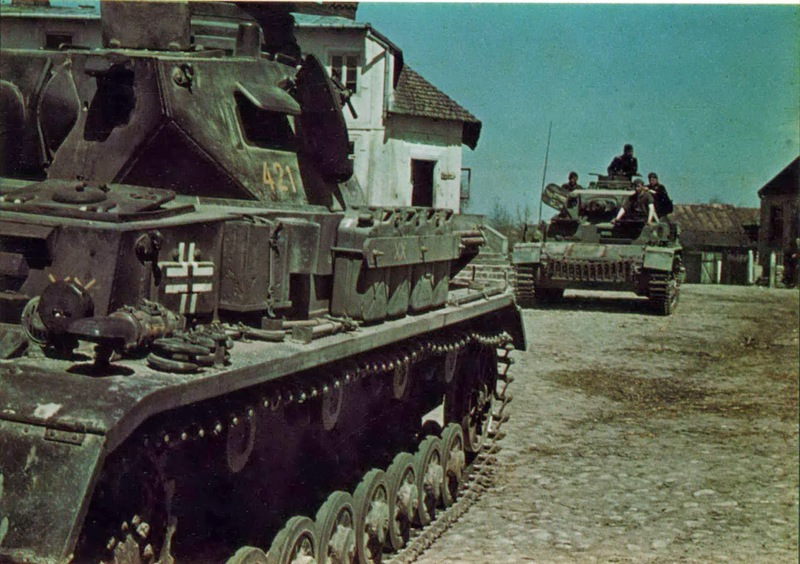 JMart, It's nice to see a Panzer IV Ausf. A being built. 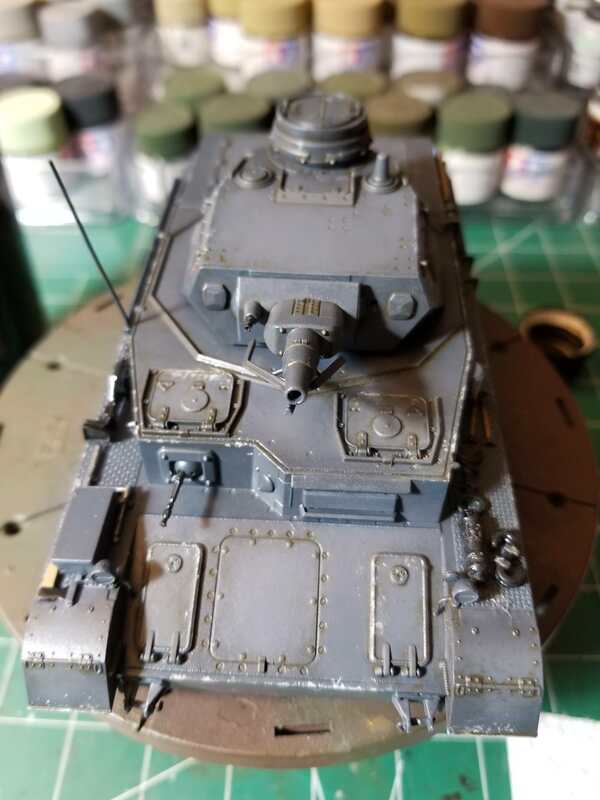 Update #3 on my Italeri Panzer IV F1. Added wire cable details to the headlights. Joined the upper hull to the lower. The fit wasn't that great, so putty work was required. 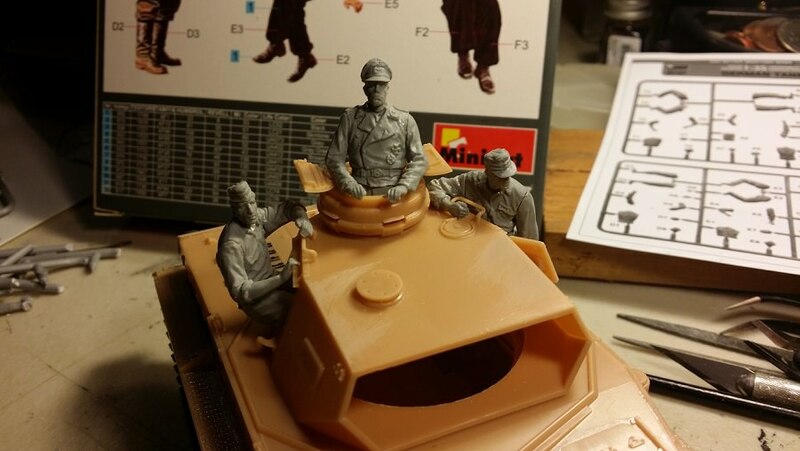 Started work on the Panzer's crewmen. The MiniArt set is pretty good. There are some minor fit issues. 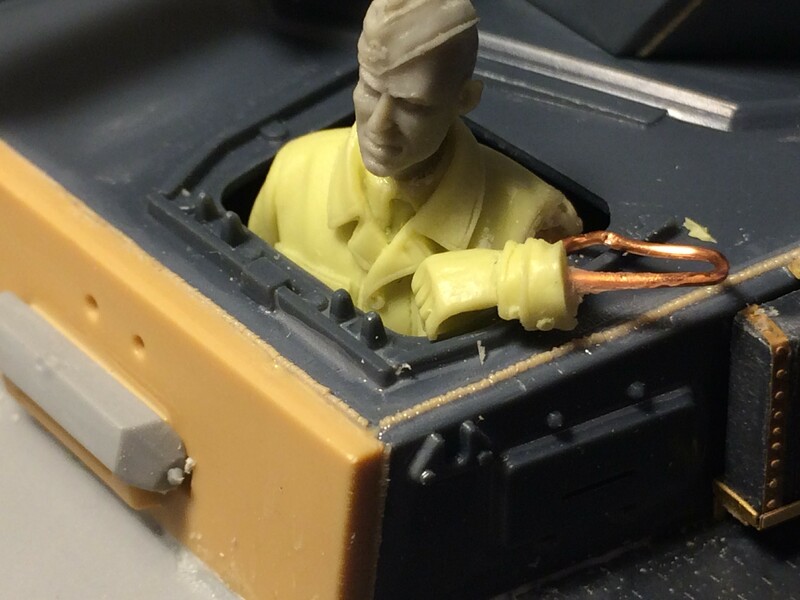 The biggest flaw is the mold lines running down the center of the figures' faces. Why!!!!! The awesome poses more than make up for the kit's deficiencies. Good luck everyone on their projects. 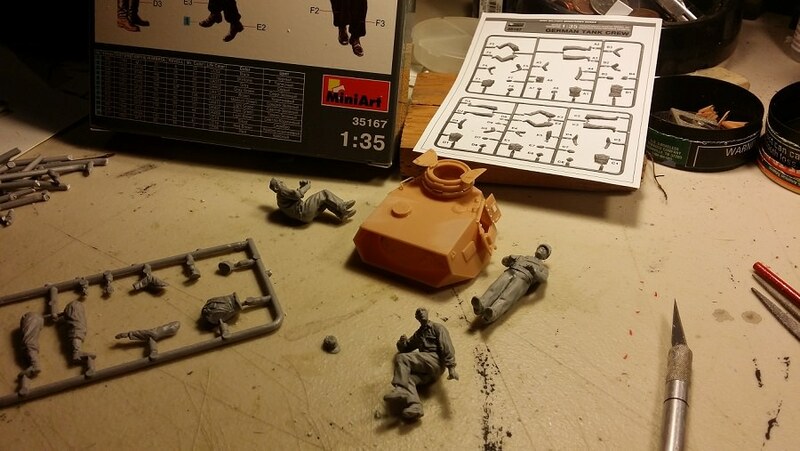 Nice progress on your Panzer IV. I have a question, is the MG suppose to stick that far out of the ball mount? It seems a little long to me.